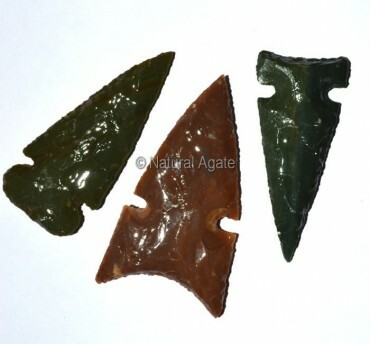 Polished Agate Arrowheads weigh 30-80gm and are 2in long. These shiny arrowheads can be used for decorating your room. You can buy them on Natural Agate.